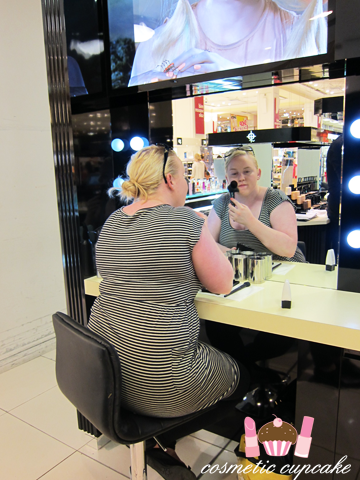 Last Wednesday I had the pleasure of attending an Illamasqua master makeup class at Myer Sydney with Tara from Keeping up with me and Angie from An Obsession With the Fabulous after attending the Schwarzkopf event. Tara had originally organised transformations for us both however Mikele offered a lesson to all 3 of us on the day which worked out just perfectly! I am always very eager to improve my makeup application skills because they aren't very good unfortunately. 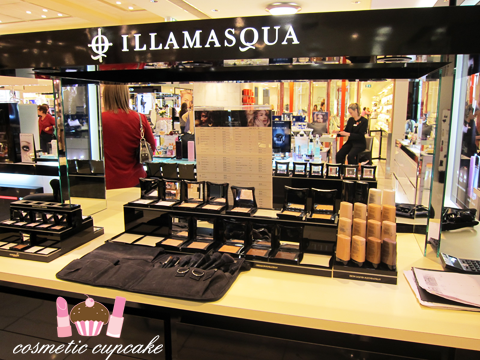 I haven't had the opportunity to experience many Illamasqua products besides their awesome nail polishes so I was VERY excited to play and learn about them! 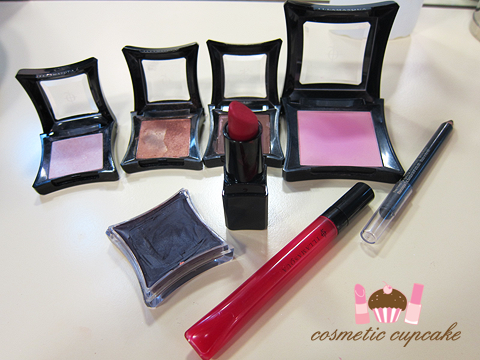 When it comes to makeup I am not very adventurous with colour. For my nails I will happily rock any colour under the sun but for my eyes and lips I almost always stick to neutrals, pinks, purple and more pink! I do have bright colours but I very rarely wear them unfortunately so I took this opportunity to try out a bolder look. 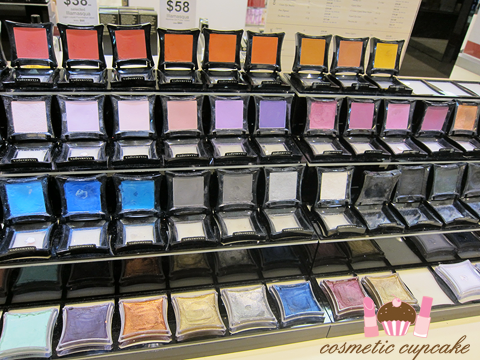 Who wouldn't with the ah-mazing range of colours Illamasqua has on offer? 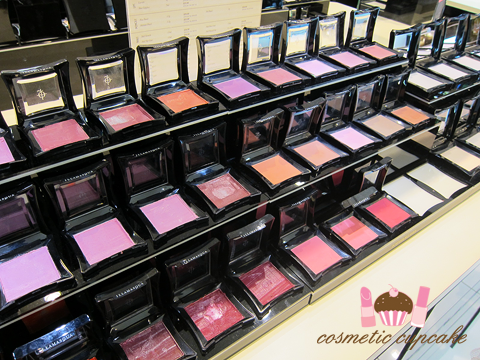 Gorgeous blushes that are calling my name! We were all very eager to improve our eye makeup skills so we decided on a bronzey eye and a different blush and lip colour each. My memory is a bit sketchy so the products I list may not be the actual ones we used on the day sorry! First off was applying a good base! We started off with the Matt Primer and then applied the Cream Foundation for a flawless finish. Here's Tara applying foundation and making sure to buff well! Angie doing the same! I am lazy when it comes to applying foundation and I usually just use my fingers - bad I know! - so I really need to get my act together and start using my brushes. The SUPER lovely and talented Mikele doing Tara's eyes. It was great watching him demonstrate on one of us and then trying it out ourselves. I LOVED the look and the girls loved theirs too! 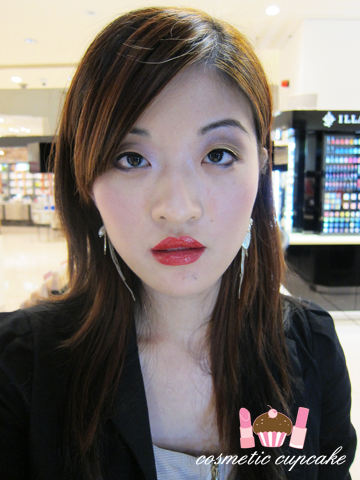 For me, the red lips was very different from what I usually wear and it was great to try it. I have much more confidence to wear bolder lip colours now! Unfortunately I didn't get to take a photo of both Tara and Angie with their final looks doh. We had such a fabulous time and learning from Mikele was such a pleasure! I really enjoy learning this way - a makeup lesson where you're shown how to do it and then do yourself is the best way to learn application. Like Tara, I find the staff at Illamasqua very knowledgeable and friendly and I definitely recommend a makeup lesson or transformation from them!! I now have so many new products on my wish list with the Powder Eyeshadows, Cream Pigments and Powder Blushers just to name a few! My wallet is not going to thank me lol. 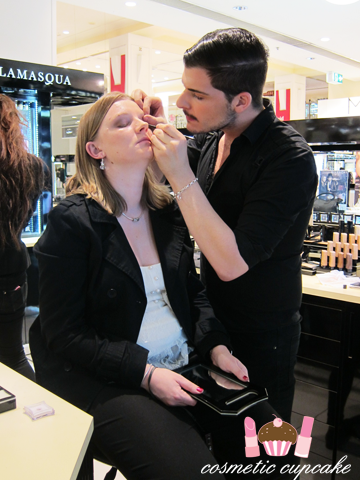 A huge thank you to Mikele and Illamasqua for a wonderful afternoon! And my girl Tara for organising it all! *This makeup lesson was provided to me free of charge. looks like you had a lot of fun^^ love the red lip color on you! What an excellent opportunity. Love your look too! Its amazing what a professional make-up artist can do to bring out our features that we think doesn't look right. You are rocking this! Look at that pout!!!! You look amazing with a bold lip. I hope you give it a go with your regular make up because it really suits you. You look stunning Chelle, I need to get myself to Illamasqua for a transformation one day soon! I love you in this glossy red lip! Oh my god your lipstick looks AMAZING!!!! Love, love, love your look. The red is beautiful on you! I'm so jealous you attended this class. I really could use a one-on-one on how to apply makeup, lol. Your lips look beautiful! 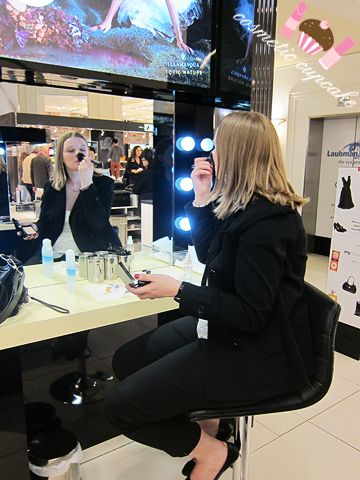 In fact, your whole makeup is beautiful :) Sounds like such an amazing experience! Girl crush alert! You look beautiful Chelle, the red lip suits you. Sounds like you had a lot of fun at your makeup lesson. You look gorgeous Chelle! Those blushes, I die. Wow! I like this blog.